So, I have some exciting news guys! 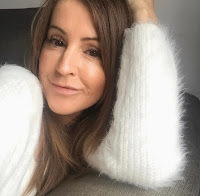 I've become a brand ambassador for the wonderful SkinChemists for 2017 which means I'll be reviewing products each month giving you my honest opinion along with some amazing discount codes. Their star product for this month is a facial oil. It's only in the last few years that I've really taken to using facial oils and now most of the time they form part of my daily skincare routine. Having had combination skin for most of my life (yes, even now I still get plenty of spots! arghhh) I was always a little scared to be adding oil on top of oil thinking it would just make matters worse. WRONG. I now know that the right facial oil will help to balance that out and if you get the right one it can have so many benefits for your skin whatever type you have. 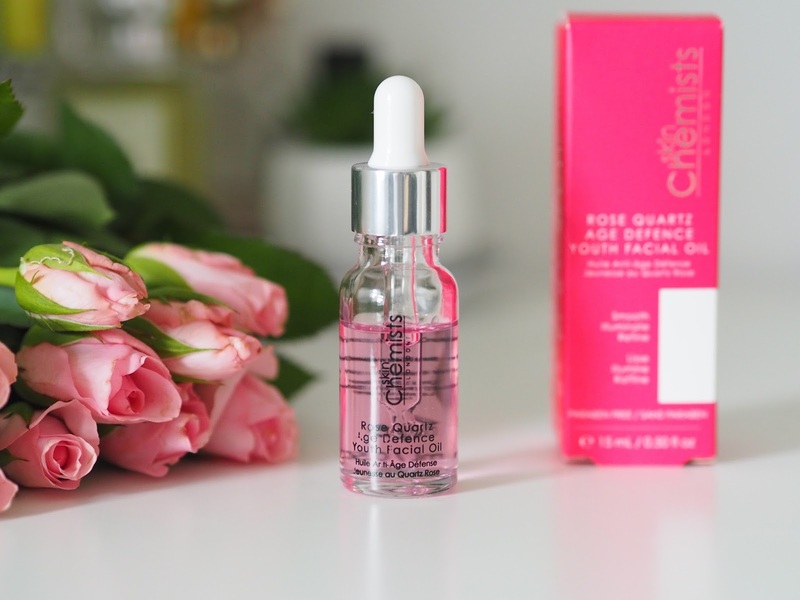 I've been road testing the Rose Quartz Age Defence Youth oil* from their Rose Quartz collection and I love it, I really do. Created to smooth, illuminate and refine with a combination of Rose Otto oil, vitamin E and almond oil. Rose Otto oil helps to restore moisture balance. It has anti-bacterial and anti-oxidant properties that will help to repair and protect the skin whilst firming and toning. Vitamin E aims to reduce skin damage whilst offering protection, and Almond oil works to provide deep hydration whilst brightening and renewing the appearance of your skin. I've been using 2-3 drops of this oil for my face and neck and have to say it absorbs really quickly leaving no oily residue whatsoever, some oils take a good while to massage in, which I don't mind, massage on the face is a good thing, but as I say, this one sinks right in, I guess if I'm totally honest with you, I'd perhaps like it to linger a little longer so I can massage more, but then maybe my skin is just so damn thirsty at the moment?! I thought that with it being a rose fragrance it may be pretty strong and I'm not a great fan of products with a strong fragrance, it puts me off using them, but this is very subtle and totally pleasant. 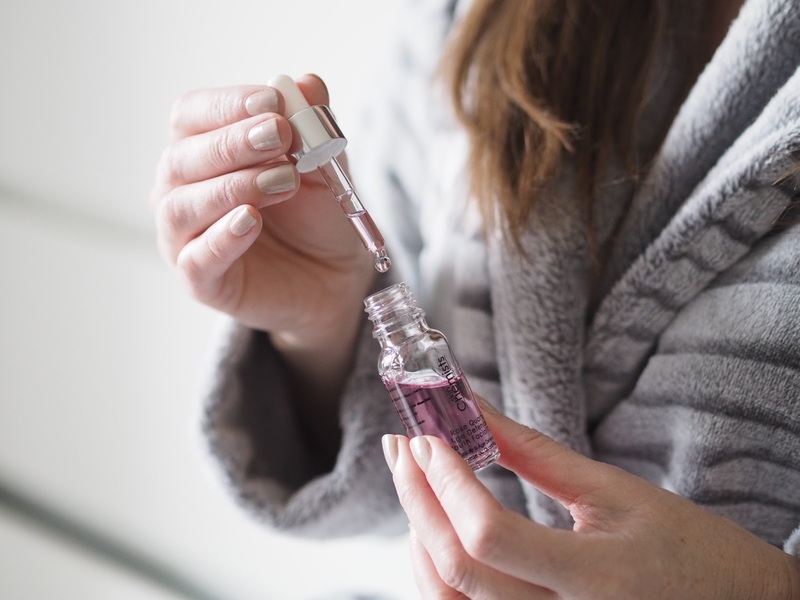 This oil definitely leaves my skin super soft and hydrated, and I can see a difference the morning after I've used it, my skin looks more plump, although I have to say I don't think I've seen the full benefits just yet as I've been quite poorly with a virus since Christmas and it's really taken a toll on my skin. With continued use of this Rose Oil though I'm sure I'll be balanced right out again in no time! With Valentines day shortly upon us, why not break with tradition and get your partner to buy you a different kind of rose, one that will last a heck of a lot longer! This would be the perfect treat from your valentine. During the month of Feb SkinChemists have some great offers on their Rose Quartz collection and during that time the facial oil will be on offer for £24.99 (RRP £99) HOWEVER I have also got a discount code for you guys for an extra 20% off, meaning you can get it for just £19.99. The discount code to type in at the online checkout is PRICELESSBLOG. If not for Valentines, or for yourself this would also make a super gift for Mothers Day, especially at that price! You'll find all the details right here but remember the offer is only on until the end of February. 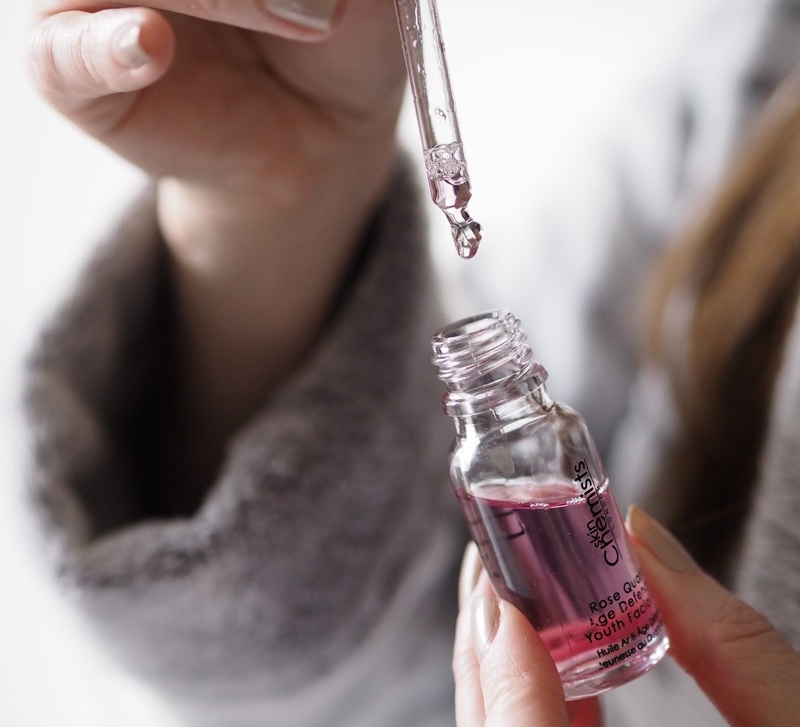 Do you use a facial oil in your skincare routine? ooo that sounds fab!My skin is in need of some tlc! Looks so dull lately! I might treat myself hehe! And congrats on becoming a brand ambassador!! Fantastic news!! Thanks so much Heather, definitely worth thinking about with this offer!